• TTx solutions were engineered to be a simple and effective way to increase the thermal protection inside any cold chain shipping package, 35.6-46.4°F (2-8°C), 59-77°F (15-25°C), and frozen. 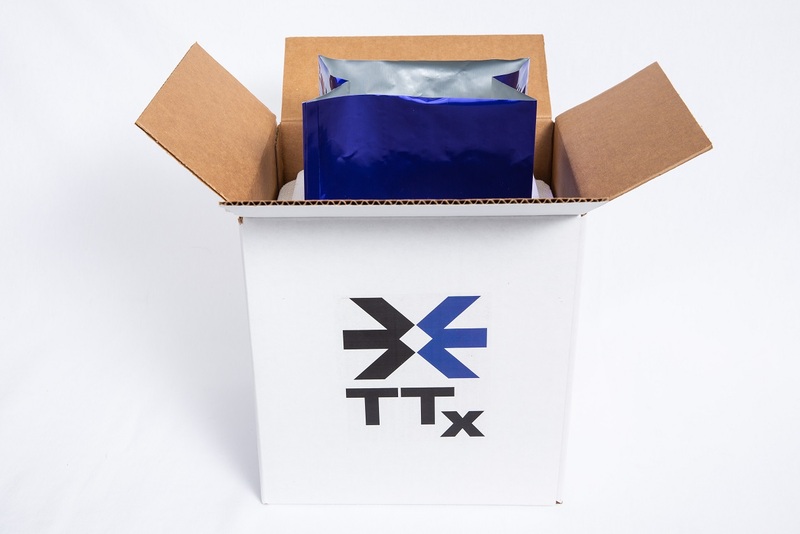 • TTx solutions are easily added to your current shipping packaging to extend the duration of time your products stay cold. • Ideal to protect temperature-sensitive products such as perishable food, pharmaceuticals, and biologics. • Use TTx with your pack out to avoid shipping with costly overnight delivery methods. • Prevents hot and cold spots inside the container by providing even temperature distribution. 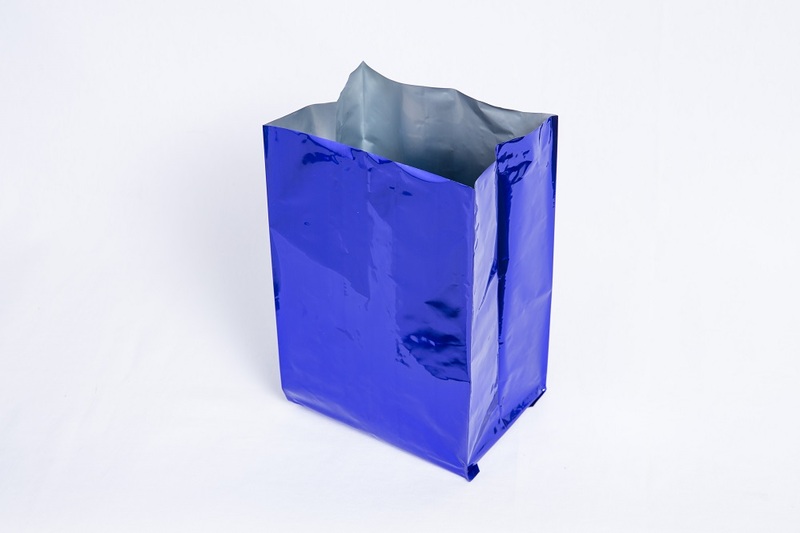 • TTx provides uniform thermal protection for cold chain products when the package is rotated during transportation. • Fewer cold sources, such as frozen gel packs or phase change materials (PCMs) are needed due to the improved thermal efficiency offered with TTx. • Cold sources are utilized more efficiently, permitting enhanced thermal protection of perishable and temperature sensitive products. Companies providing mail order refrigerated products have reduced their shipping costs by an average of 48% by using the TTx thermal package. Being able to convert from overnight air deliveries to two-day shipments they saved shipping costs and reduced their carbon emissions. The TTx solution can extend the temperature 40% longer by simply adding it to any existing cold chain package by rapidly channeling heat toward the cold bank before it can reach the payload. TTx provides the ability for mail order companies to safely and cost-effectively ship temperature sensitive products via ground delivery compared to air transportation reduces the carbon emissions by 96%. TTx offers a simple solution to reducing the impact on the environment and achieve corporate environmental responsibility. 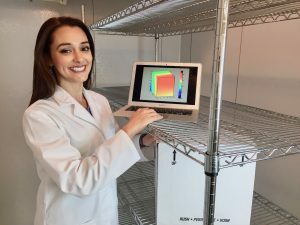 Due to the increase in thermal efficiency afforded by TTx solutions, the cost of providing home delivery of perishable and temperature sensitive items is significantly reduced by optimizing the payload efficiency. TTx allows packers to use on average 25% fewer ice packs to achieve the same thermal protection, often allowing double the payload capacity in the same size container. Typically, when a payload size needs to increase, a larger cooler is necessary and in turn a higher amount of ice packs. Higher shipping costs are easily avoided by adding TTx to existing containers. Home delivery meal kit companies are challenged with the need to ship fresh produce and proteins requiring various temperatures into one container while using one temperature cold bank. TTx thermal packages seamlessly distribute the proper thermal load across multiple temperature zones to help mitigate food safety concerns. Parcel packages are typically rotated over than 25 times while being exposed to extreme temperatures during transportation. Most thermal containers are only designed and tested in the upright position, causing them to lose 50% of their temperature efficiency when shipped in real life conditions. Use of the TTx technology eliminates this hazard by providing a uniform temperature distribution across the entire payload independently of the orientation. 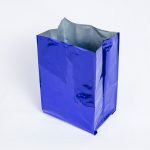 When the end users open their package of life-sustaining medication or food for their families dinner, they have no doubt their delivery is safe when it is packed with a TTx thermal solution. 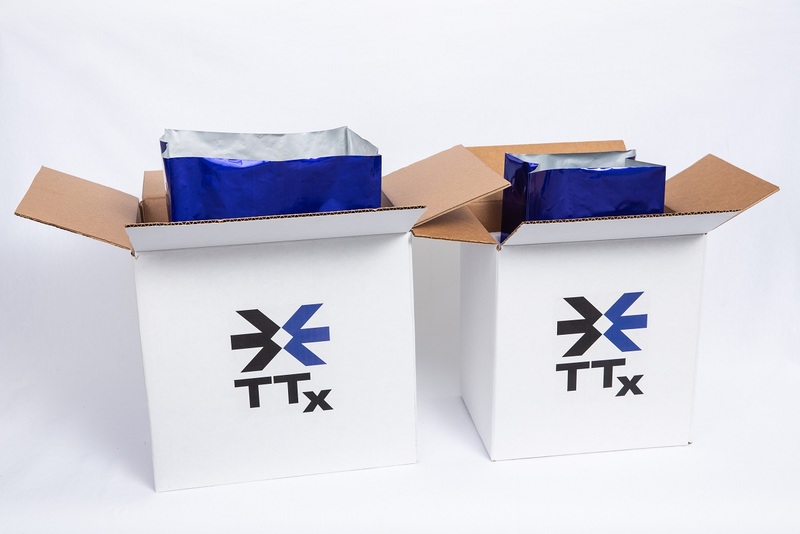 TTx keeps the package colder for longer, giving the customers additional time to open the container while still being able to feel the outstanding thermal performance. When a TTx package is opened, the visual quality is superior to other cold chain solutions, giving customers the satisfaction of receiving a well thought out package. Our TTx users have experienced consumer complaints and returns reduced by more than 90%. Cryogenic industry uses TTx thermal packages to create an instant cryogenic shield, essential for any ultra-low temperature shipments. Our TTx technology has been tested in a world-renowned cryogenic laboratory where it was proven to withstand extremely low temperatures, as much as −320 °F (−195.79 °C) with liquid nitrogen while fully maintaining its thermal properties and structural integrity.